An evenhanded account of a tragic clash of cultures On November 27, 1868, the U.S. Seventh Cavalry under Lt. Col. George Armstrong Custer attacked a Southern Cheyenne village along the Washita River in present-day western Oklahoma. The subsequent U.S. victory signaled the end of the Cheyennes’ traditional way of life and resulted in the death of Black Kettle, their most pro An evenhanded account of a tragic clash of cultures On November 27, 1868, the U.S. 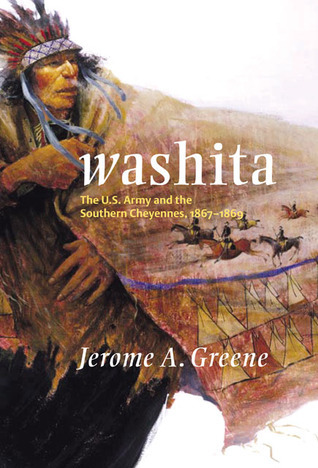 Seventh Cavalry under Lt. Col. George Armstrong Custer attacked a Southern Cheyenne village along the Washita River in present-day western Oklahoma. The subsequent U.S. victory signaled the end of the Cheyennes’ traditional way of life and resulted in the death of Black Kettle, their most prominent peace chief. In this remarkably balanced history, Jerome A. Greene describes the causes, conduct, and consequences of the event even as he addresses the multiple controversies surrounding the conflict. As Greene explains, the engagement brought both praise and condemnation for Custer and carried long-range implications for his stunning defeat at the Battle of the Little Bighorn eight years later.